The National Institutes of Health (NIH), a part of the U.S. Department of Health and Human Services (HHS), is the primary federal agency for supporting and conducting biomedical research. Composed of 27 Institutes and Centers (ICs), NIH conducts and supports basic, clinical, and translational medical research, and investigates the causes, treatments, and cures for both common and rare diseases. NIH’s research portfolio is extensive and complex, and presents many challenges to program evaluation and portfolio management. Portfolio management is critical to NIH’s efforts to sustain and to advance the excellence and relevance of its research programs in order to be dynamic and responsive to new medical information, emerging scientific opportunities, and public health needs. U.S. government programs are under increasing pressure to become more transparent with its program performance and finances. Under this agenda, all government agencies are held accountable for meeting agency performance goals and annual targets. To make sure programs achieve this objective annually, government initiatives, such as the ones listed below have been established to capture performance information and to evaluate programs across all government agencies in the United States. Government Performance Results Act (GPRA) – Federal statute mandating performance-budget information reporting. Program Assessment Rating Tool (PART) – A systematic method of assessing the performance of program activities across the federal government. PART is also described as a diagnostic tool used to improve program performance. Performance and Accountability Report (PAR) Act – PAR implements a process of program review and evaluation to determine the strengths and weaknesses of federal programs with a particular focus on the results produced by individual programs. To comply with government performance-based program reporting requirements, NIH has developed a systematic approach of collecting performance and budget information across ICs to articulate program goals and provide information on performance monitoring. The NIH Systemic Assessments Branch (SAB) of the Office of Portfolio Analysis and Strategic Initiatives (OPASI) under the Office of the Director addresses government performance mandates and liaises with ICs to collect, plan, measure and evaluate NIH performance information. The former process of reporting performance information at NIH required extensive communication between the Planning and Evaluation (P&E) community and SAB on a regular basis with monthly meetings, working groups, and numerous exchanges of email. SAB program staff and IC officers followed a series of manual tasks and activities to gather, review, consolidate and publish paper-based reporting materials to meet performance reporting requirements. To prepare for the creation of reports, annual data were reviewed, revised, annotated when necessary, and published in a series of paper-based reports communicated through a series of emails. Such a process, when multiplied over the various Institutes, Centers, and Offices at NIH, represents a substantial loss in productivity and a high risk of error in the performance reporting. It was difficult to maintain the currency of the information. The email-based communication and the reliance on Microsoft Word and Excel for reporting were not efficient and did not meet the performance reporting needs of NIH. 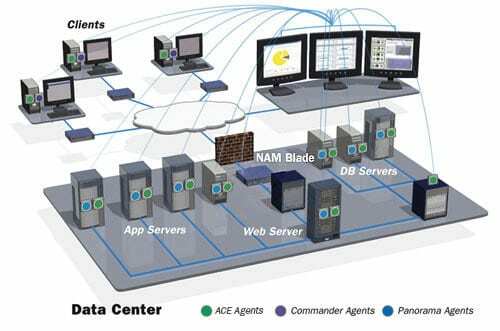 The implementation of the centralized PPMS application allows for distributed content management, providing a more useful tool for knowledge management of performance information, while allowing performance goal leads and contributors a single point of access to a centralized repository of needed information.